Heavy Gauge Overlap Pool Liner with Boulder Swirl Design. 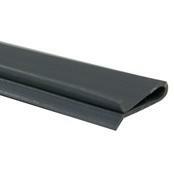 Constructed of premium standard-gauge virgin vinyl with double-welded seams. Fits 48" or 52" pool sidewalls. FREE SHIPPING! 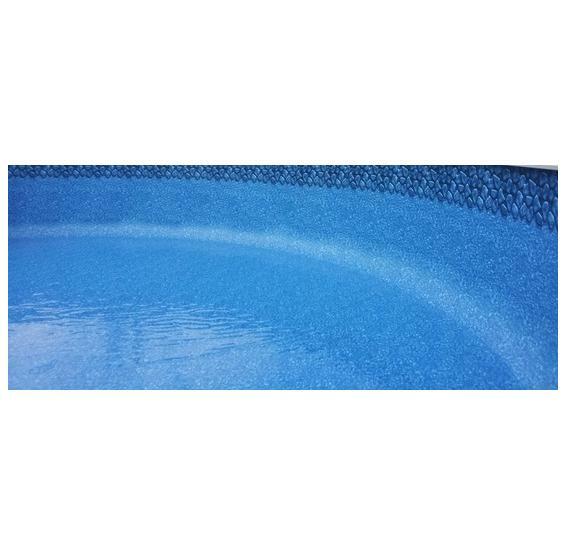 The Boulder Swirl overlap liner is one of PcPools' most popular heavy gauge options for above ground pools. It is built to last and easy on the eyes! 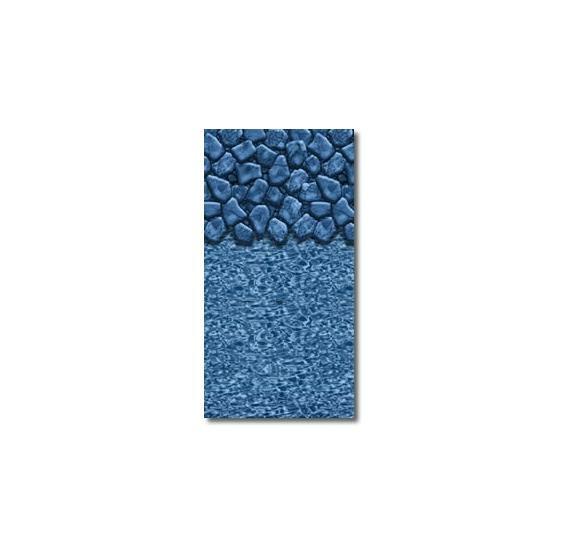 Our Premium Boulder Swirl Heavy Gauge Overlap Pool Liners are constructed of full heavy gauge virgin vinyl, our pool liners will last longer and maintain their beautiful appearance for years. Strong, double-welded seams will withstand winter’s worst. 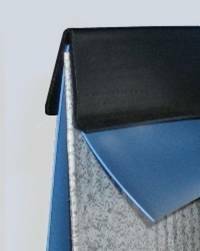 Our heavy gauge pool liners are so rugged; they are backed by a 25-Year Warranty. 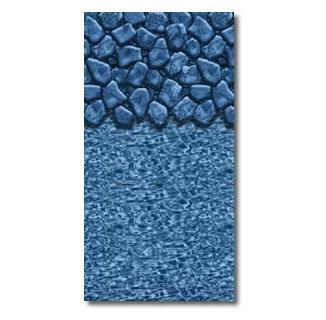 All of our overlap pool liners listed below will fit either a 48" or 52" pool wall. 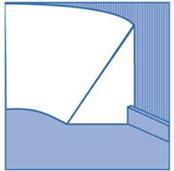 Manufactured in the USA by Swimline Corporation the leading pool liner manufacturer. On this type of pool, the pool liner goes up and over the top lip of the pool wall. 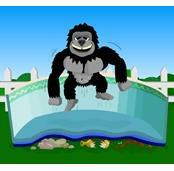 It then comes down over the edge on the outside of the pool. 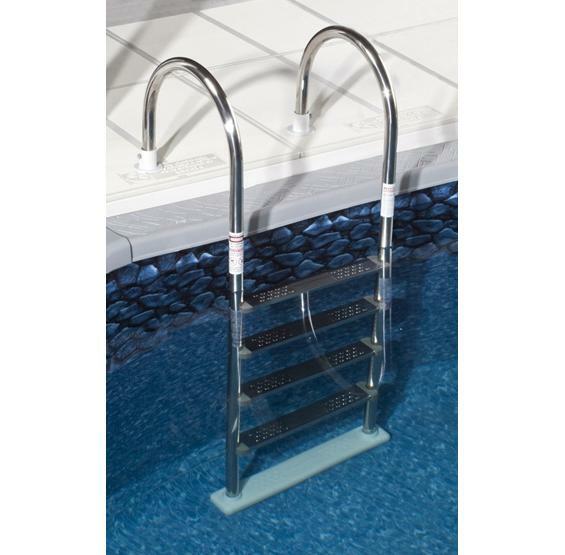 This type of pool liner is normally secured with some sort of clamping method that holds it in place. 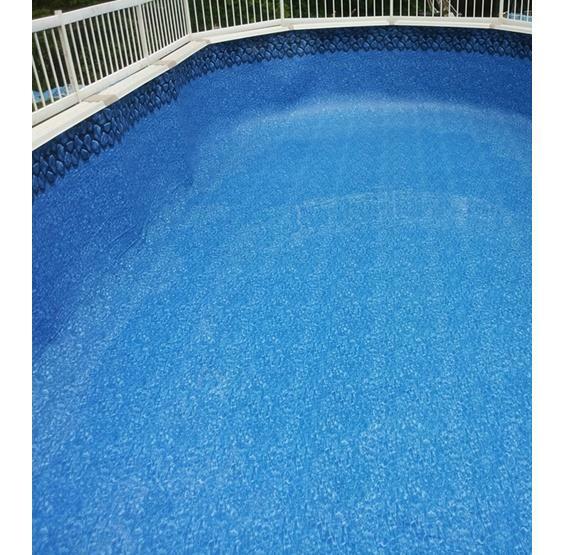 Any adjustment that may be needed on the wall height of the pool liner is made by removing the clamp(s) and either letting in or pulling out more of the liner. We prefer the heavy gauge overlap pool liner. It just seems to hold up better than the 20 mil. Little more expensive but the Free Shipping helps.